Women in motorsport are speaking out after former Lotus and Renault development driver Carmen Jorda was appointed to the FIA’s Women in Motorsport Commission. Jorda is a controversial figure, with many questioning whether she deserved her role within F1, claiming it was merely a publicity stunt by a team that needed to attract sponsors and money. 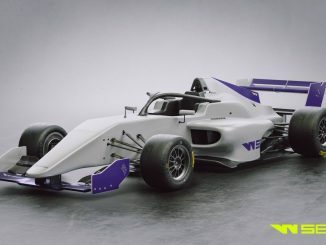 More recently, she’s come under fire for suggesting women aren’t capable of competing alongside men, and that the FIA should set up a separate series for women racers. IndyCar driver Pippa Mann has been the most vocal critic of Jorda’s latest appointment. The 34-year-old Briton has raced alongside men in IndyCar and Indy Lights for the best part of a decade, beating future IndyCar race winner James Hinchcliffe to race victory in an Indy Lights race at the Kentucky Speedway in 2010, finishing the season fifth in the standings. Jorda actually raced alongside Mann in that championship, having initially signed up as a full-time driver in the series, but she secured just one top 10 finish before being dropping out after only five races. Mann is a big supporter of women in motorsport, regularly tweeting congratulations and messages of encouragement to other female racers. This weekend, she was speaking on a panel for women in motorsport when the news about Jorda’s role broke, and she wasn’t happy. Mann tweeted that she was “incredibly disappointed” by the appointment, questioning the decision to hire someone who doesn’t believe women can compete as equals. Mann isn’t the only one who disagrees with Jorda. 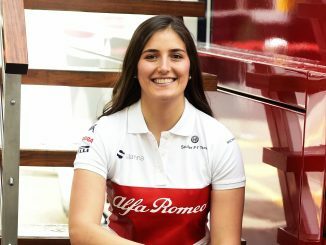 Earlier this week, GP3 and Sauber development driver Tatiana Calderon spoke out against the idea of a separate women’s series, believing motorsport is one of the few sports where women can compete alongside men. The Colombian criticised Jorda for putting limits on other people, insisting that women can compete with hard work. Calderon has just finished her second season in GP3, putting a difficult start to the year behind her to finish with two top 10 finishes, including a career-best seventh in the feature race at Monza. She also joined RP Motorsport for the final round of World Series Formula V8 3.5, securing a 5th and 3rd in the two races in Bahrain. Following news of Jorda’s inclusion on the commission, Calderon tweeted the dictionary definition of a role model, simply adding “enough said”, suggesting she doesn’t think Jorda fulfills the requirements of a role model. Another member of the commission is three-time Le Mans 24hr race winning engineer Leena Gade, who was appointed in 2013. She stopped short of criticising Jorda by name, but commented that she chose to compete in a man’s world, and that women in motorsport want to be the best against males and females. Anyone who can’t do that, should “play another game”, according to the race engineer, who now works for Bentley Motorsport. Gade has obviously earned her spot on the commission, but Jorda is hardly the only questionable inclusion. Milka Duno was put on probation in IndyCar for driving too slowly during her career, and repeatedly criticised for blocking other drivers, which once resulted in her being confronted by Danica Patrick after one particularly slow practice session, but the Venezuelan is among the other members of the commission, as is Fabiana Ecclestone – the wife of Bernie Ecclestone, who just last year said he couldn’t see women racers being taken seriously in F1. Jorda’s appointment may not go down well with the president of the Women in Motorsport Commission – former rally driver Michele Mouton. Mouton won four events in the World Rally Championship in the 1980s, and was the runner up in WRC in 1982. Just over two years ago, Mouton was asked about Jorda’s role with Lotus, but suggested drivers like Simona de Silvestro, Danica Patrick and Susie Wolff would be more likely to make it to F1 than Jorda. She went on to add that less successful girls climb the motorsport ladder because of marketing strategies and politics. The Frenchwoman is an advocate for ensuring women are given the same equipment and opportunities as men to compete on a level playing field – something which is at odds with Jorda’s views. Jorda’s on-track performances show she should never have been in F1, even in a development role. She never secured any points in Gp3, and has no race wins at any level of her racing career. If Jorda truly believes women can’t compete alongside men, you do have to wonder why she ever agreed to take a role with Lotus, or race in GP3. She may be one of the highest-profile women drivers around the F1 paddock in recent years, but that doesn’t automatically make her the right appointment for a commission that says its aim is to create a culture which values the full participation of women in all aspects of motorsport.